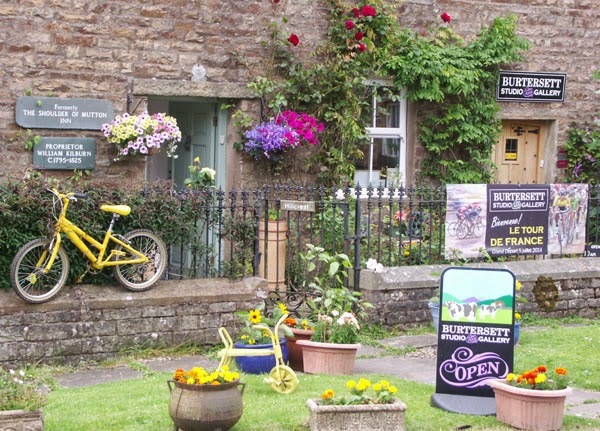 The Burtersett Gallery is ready for visitors with just two days until the Grand Depart of the Tour de France, see here. 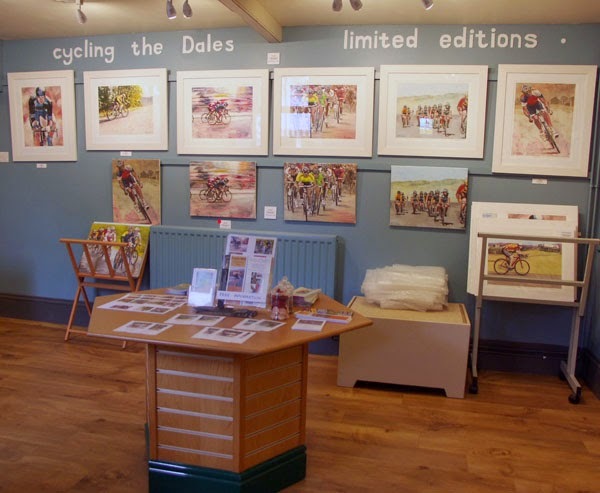 Inside the gallery, cycling is the theme this month. 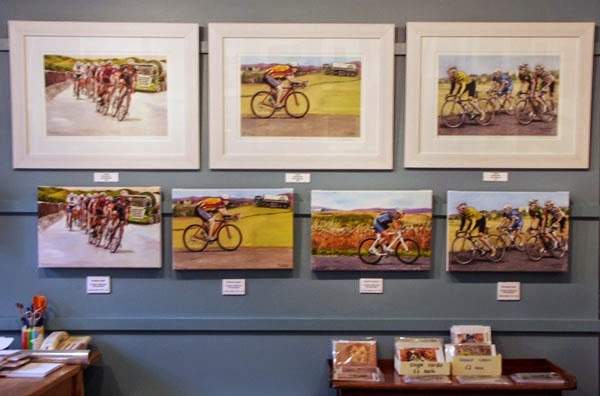 Cycling fans will find something of interest! 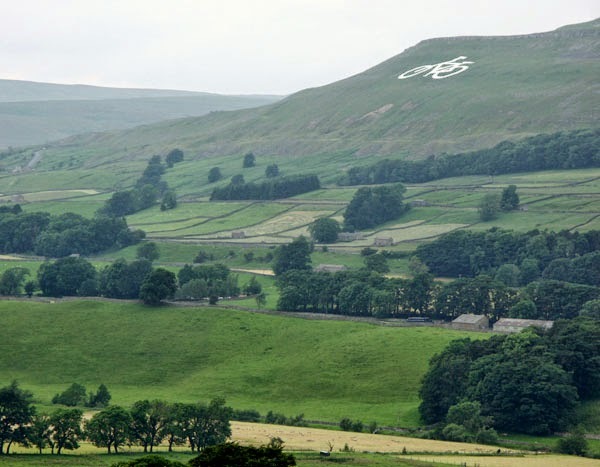 ... as has the whole of the Dales! 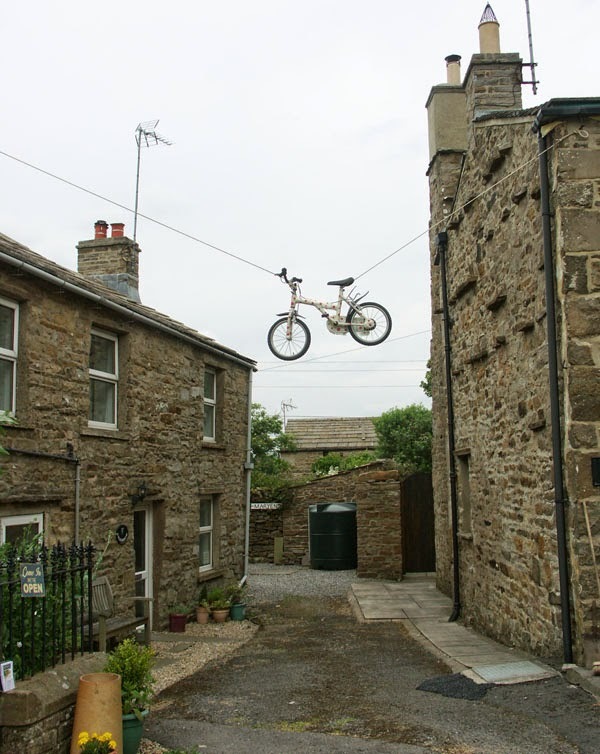 The town of Hawes has been transformed into a hub for the Tour and it's a sea of red and white for the Cote de Buttertubs stage on Saturday. The roads are as smooth as they've ever been and every drain cover and man-hole has been lifted and repositioned for the race. All that is needed now is for the weather to be good too! 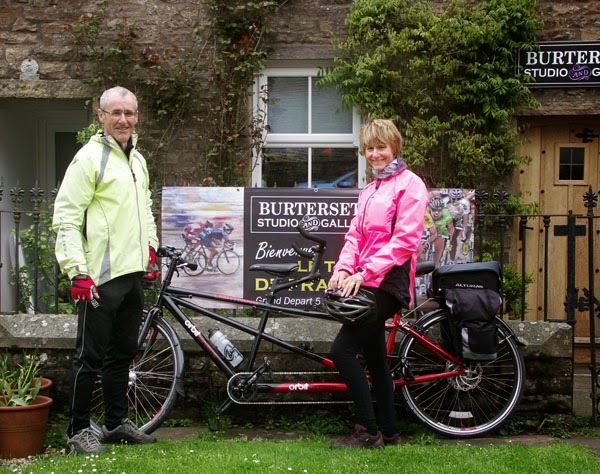 Recent visitors to the gallery included Alan and Denise Jarvis on their tandem which was manufactured locally in Gargrave by Orbitandems.